Exquisite architecture and a culture with a strong appreciation for the arts are just a few long-standing features of Connecticut’s rich history. And with that comes a presence of glorious old theaters. From legendary vaudevillian houses to magnificent off-Broadway spaces, here are the 11 best historic theaters in the state. The Bushnell was built in tribute to Horace Bushnell by his daughter, Dotha Bushnell Hillyer, as a center for performing arts in her home city. The theater opened in 1930 and unlike many of the other great theaters in Connecticut, has remained open since. This theater is considered a landmark of Hartford and now holds several halls, theaters, and a custom-made organ. On the events calendar, you can find numerous touring Broadway shows, live music, plays, ballets, and more. The Shubert Theater opened in 1914, with a performance of “the Belle of Bond Street.” Because of its proximity to New York City and the modernity of the theater, the Shubert quickly became the favored test theater for new Broadway releases and “Oklahoma!,” “The King and I,” “A Streetcar Named Desire” featuring Marlon Brando, and “The Sound of Music” were some of the performances that premiered here. Despite its star-studded history, the Shubert was almost demolished in 1976, but the theater was saved, restored, and updated. Currently, the Shubert is one of the top theaters in Connecticut and shows a variety of live performances. Located in the small village of Ivoryton, so named for its former role in the production of piano keys, the Ivoryton Playhouse was built in 1911, originally as a recreation hall. The golden era of the Ivoryton Playhouse was the 1930s, at which time the building became the first self-supported summer theater in the U.S. It attracted the likes of Norma Terris, Katharine Hepburn, and Cliff Robertson. The playhouse is still in-use as a summer theater. The Garde Arts Center is located in the historic downtown New London and was built in 1926 to show motion pictures and theater performances. The entirety of the theater was recently restored, complete with velvet seats and gilded interiors, and also updated with state-of-the-art lighting and sound. Currently, the Garde Arts Center does excellent work promoting the arts in the greater New London area and hosts performances such as concerts, plays, musicals, and comedy shows. The Bijou Theater was originally opened as a silent film house in 1909 by Lillian Ashmun. It featured a theater on the ground floor and a ballroom on the second floor. In 2009, the Bijou Theater was returned to its former glory and now houses a 200-seat performance hall. It currently shows live music and plays. The Palace Theater in Waterbury was opened in 1922 by Sylvester Z. Poli and features a lavish interior that cost $1 million at the time. The theater held performances constantly until 1987 at which time it closed for 18 years, but has since been restored to its former glory and is included on the National Register of Historic Places. It currently holds a variety of performing arts events including concerts, musicals, plays, and festivals. The opulent, Art Deco-style Warner Theater is a treat to visit, with its intricately-painted ceiling and gilded walls. The Warner Theater was built in 1931 as a motion picture cinema, but was severely damaged in a flood in 1955. The theater was saved by the Northwest Connecticut Association for the Arts non-profit in 1982 and they have since restored and updated the theater. Renovations were completed in 2002, and the theater now holds musicals, operas, plays, and other performances. Last night, several bands competed in a battle of the bands with the winner playing our annual #roadjam concert. @lucidempiremusic won the competition; can't wait to see them play next year! The Goodspeed Opera House first opened in 1963 in a historic building. Since its opening, the Goodspeed Opera House has continuously hosted musicals and during its history it has opened 70 world premieres. The Eugene O’Neill Theater was opened in 1964 by George C. White. It acts as much as an educational institution for young playwrights as it does a theater and currently boasts a small village for likeminded playwrights and playwriting students. The Eugene O’Neill Theater also has an active summer theater, with a typically packed schedule of performances. The Wall Street Theater opened in 1915 with a bang, with the performance of “Everywoman” featuring Earle Williams. It also showed talking pictures as well as performances and community events. During the Great Depression, it was renovated into a movie theater that eventually closed in 1989. Following its closure as a theater, it was opened and closed again several times with short stints as dance clubs and theaters. It is now currently in the ownership of a non-profit organization aiming to restore its history and promote the performing arts. It now features musical performances, comedy, and has a teen theater program. So excited to perform for CT’s Got Talent! Make sure to go to out facebook page and vote for us to win using our “CT’s Got Talent” and vote! 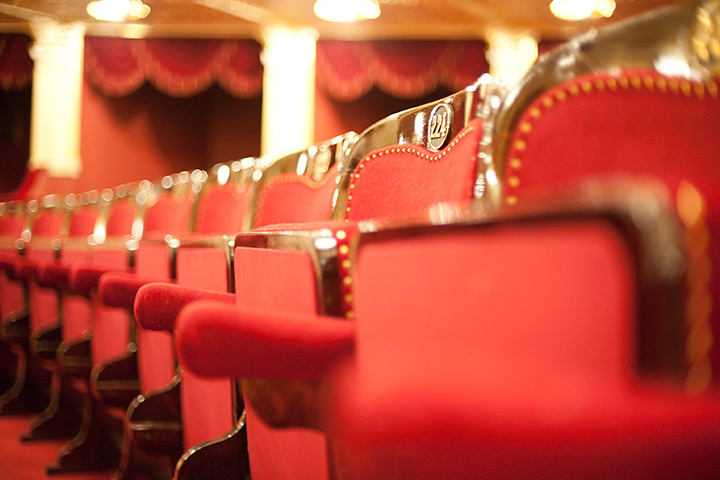 View more Connecticut Theaters and Playhouses.